Movies On is the perfect theme for a movie review and news website. The theme comes packed with features which make it ideal for reviewing. The template does not only look fine on all devices but also works like a charm! Clean and modern elements make it unique and perfectly focus on video content. 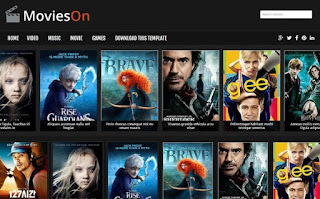 Movies On blogger template has banner areas, so it allows you to show ads and earn money without making damage to your website overall look. Nice one. I do enjoy using this template.